When lovestruck Tony first sets sight on Maria, it's a moment he will never forget. "The most beautiful sound I ever heard", sings our hero. 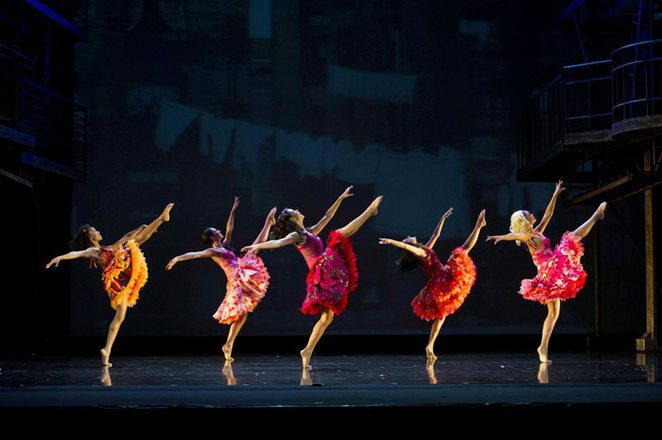 While for the audience, that feeling rings true throughout the epic West Side Story - a classic musical with the most beautiful soundtrack imaginable by Leonard Bernstein. This latest production touring the UK, visiting Birmingham, Milton Keynes, Leeds, Cardiff and Liverpool in coming months, is very true to the Bernstein original (the Broadway theatre show and the award-winning film that followed later). Basically, if it ain't broke - don't fix it. Flamboyant costumes and a great set recreate 1950s New York with metal apartment fire exit staircases and a huge video backdrop. 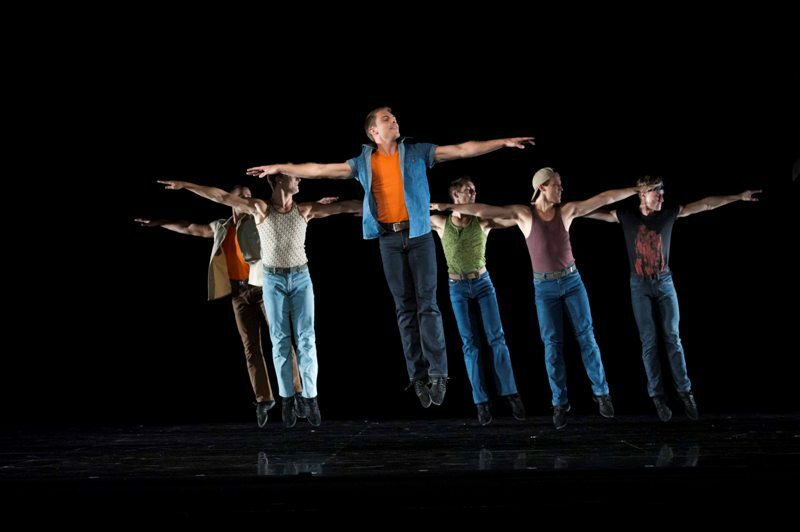 But ultimately it is the scintillating choreography and first rate singing that stand out. Catching the show at the start of its stop-off at Birmingham's New Alexandra Theatre, understudy Charlotte Baptie had to take over the role of Maria for the night as Katie Hall had injured a muscle. However, Charlotte had an outstanding voice and it was hard to tell that she wasn't the usual lead. If she is second best, then I can only surmise that Hall must really be something special. The story is a modern re-working of Shakespeare's Romeo and Juliet, which transports our young lovers into gang warfare between the Polish American Jets and the Puerto Rican Sharks in '50s New York. Here we see beautiful, naive Maria, whose brother is the leader of the Sharks, fall in love with Tony, a key player with rival gang the Jets. While their sudden romance crosses boundaries, it also enrages hostilities between the gangs, and ultimately leads to much tragedy and heartbreak. 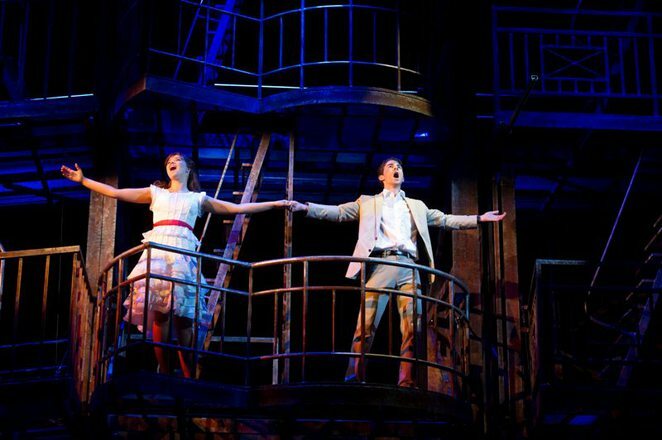 There will always be high expectations associated with any production of West Side Story, especially as this musical picked up six Tony awards when it was first launched on Broadway, while the film later scooped 10 Oscars. I found it refreshing to see the fresh-faced cast look and act like the teenagers they are supposed to be. This is, after all, supposed to be based on Romeo and Juliet. The dancing is practically flawless and the talented cast make the difficult choreography look far easier than it is. Djalenga Scott, playing Anita, was not only a sensational dancer, but also a fantastic singer. As in the case with many musicals, it's the songs that overshadow the weaker conversational scenes. That was true of this production and it seemed easier to understand the actors when they were singing rather than talking. Actor Louis Maskell, playing Tony, also seemed to try a little too hard with his muppet-like American accent - but when it came to his singing voice, he was sublime. And it's important to make sure you have the right voices when you have outstanding songs like Somewhere, the Jet Song, A Boy Like That, and Cool, which have stood the test of time and still have that gritty, raw and edgy element that can reach right into the pit of your stomach and churn up a range of emotions with just a few notes. But the magic of West Side Story is that Bernstein's score also features uplifting, upbeat tracks, such as Maria, America, I Feel Pretty and Gee, Officer Krupke. Although, it was love song Tonight that brought the highlight of the night - when Tony and Maria sing it to each other on an apartment balcony, and also when the full cast perform the song ahead of the gangs' fated "rumble". Overall, this new production hasn't lost any of the grit that made West Side Story so exceptional when it was first performed. This show is so super-charged with emotion that you will need a box of tissues by your side for the last 20 minutes. Shortly before curtain up, a friend of mine said you can judge just how good the show is by how much it makes you cry. Well, by the time the final scene came around, I couldn't stop the tears from rolling down my face. August 12 - 23 - Wales Millennium Centre, Cardiff. September 2 - 13 - Theatre Royal, Norwich. Tickets cost from £17.90 and are available from the West Side Story Show Ticket Website.